In the Müritz-National Park there are conservation zones where dead trees are left to rot. The bracket fungi that aid this decay inspired my form. 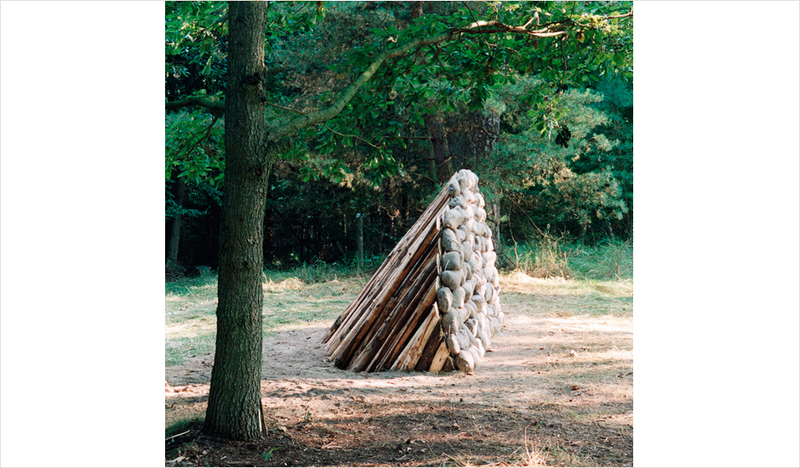 Over years, as the supporting wood rots, the woven stone ‘blanket’ will slowly descend to the ground, where one day it will be flat on the earth.